Keeping the track of accurate and up-to-date bookkeeping and financial data is crucial for businesses of all sizes, whether large, medium or small. These financial data determine the success of any business. There are some incidents in the past that some of the well-established businesses across the world have been doomed for the reason that their accounting processes were not up-to-the-mark, disorganized or incorrect. Not only that, but some small businesses these days are prone to poor accounting procedures, and if you are one of them, then it’s time to wake up. Most small business owners have the habit of managing their business finances like they handle their personal finances – occasionally checking the balance in the account and paying off their bills when they have money available. What can be worse? Want to make sure that your business is not one of them? Keep Reading this blog. 1. Making Payments to Vendors – Your business needs a systematic plan for making payments to your vendors. This will help you keep a track of all your debts. Moreover, it will also help you maintain a good repute and credit rating of your business amongst the vendors. The date of payment may vary from vendor to vendor; hence, you cannot get away simply by paying your bills all at one time in a month. Among the group of vendors, you have, some might accept or agree to get paid in a period of 30 days, whereas some vendors may request the payment as soon as the bill is submitted. Bookkeeping tasks are time consuming and there is no particular benefit of paying your bills on a daily basis. Therefore, it is advisable to make the bill payments once a week and enjoy the increasing efficiency of your business. All your bills would be paid on time and your bookkeeper would not face a tough time having to deal with a lot of check runs. 2. Bank Account Reconciliation – Proper bank account reconciliation is extremely necessary for each and every business owner, because it helps them to understand the actual cash they have and then compare it with the cash they believed they had. Most of the small businesses make a mistake of waiting for their bank statement to arrive and then reconcile it with their account, but the problem here is that bank statements are generated only once a month. This means that you have to wait approximately 31-31 days between the reconciliations and too much can take place in-between this time period. Therefore, it is recommended to all the small businesses to reconcile their bank account on a weekly basis, and if you have time, then doing it every day is also not a bad idea. 3. Record and Maintain Customer Receipts – For a small business owner, an unsatisfied or angry customer is the worst nightmare. Nobody expects to pay a bill and then get a ‘past due’ letter a week later. To avoid such awkward situations, make a habit of recording and maintaining the receipts from your customers in a timely manner. You should follow this routine every day, but if you are occupied with other tasks, once a week will do. 4. Extra Transactional Entries – Being a small business owner, you don’t only deal with your vendors and customers, you also make some financial transactions out of this as well. Financial transactions such as interest payment, a fee levied by bank and auto-debits are required to be recorded at the end of every week. Some bookkeepers opt for recording them prior to reconciling the account to make the procedure smooth and streamlined. However, as your business expands, you have to develop your personalized system to manage each and every aspect of the accounting process, giving the above-mentioned points a fair start. If you believe that all those points discussed above is hard to follow, then you need a helping hand in the form of Small Business Accountancy services from companies like Affinity Associates. The latter, with the help of experienced accountants, will keep you abreast of the complete financial situation of your business. To discuss how Affinity Associates can create a customized package of small business accountancy for your small business in London, UK, call +44-20-8903-2077 or request a free initial consultation online at https://www.affinityassociates.com/contact-us. Accountancy services are not just for medium or large sized businesses and organizations. Small and start-up businesses can also profit from utilizing such outsourced accountancy services. Truth be told, by connecting with an expert to record and monitor payroll, income, expenses, and taxes can enable any small business to achieve its potential. Here are top 4 reasons for any business owner to consider small business accountancy services. Most times, small-scale businesses might not have enough paperwork or accountancy relevant work to justify hiring a full-time bookkeeper in-house. In such a case, they may choose to have their non-accountant staff to split their work between keeping the accounts maintained and completing their regular work. This, however, in the long run proves to be inefficient for both the business and its employees. By hiring small business accountancy services to deal with the accounts will allow the businesses to free their employees from the activity they are not capable to do and enable them to focus on what they are hired for, eventually enhancing the general effectiveness. Keeping all your business’s accounting records up-to-date such as tax, income, expenses, bookkeeping, payroll, etc. is a tough task. A professional small business accountancy firm that gives quality outsourced bookkeeping services has a team of professionals; skilled and experienced. By hiring small business accountancy services, you could be rest assured that your business’s financial books is accurately maintained. This helps demonstrate the genuine position of where a business is standing, and they likewise help deflect any prosecution. A business’s tax requirement and the taxation law surrounding it, may keep on changing often, which makes it difficult for the business owner to stay-up-to-date with it. Likewise, if the business is developing rapidly, it tends to be difficult to find out which laws will apply at various phases of the development. A small business accountancy firm, however, constantly keeps the track of the tax requirement changes and the laws surrounding it, and will ensure that your business always remains in compliance with the same. A specialist small business accountancy firm will have the expertise in experience with the finances of the business from each angle. Their team of professional bookkeepers and accountants will provide you vital financial advice and tax advices that eventually helps your business to save more money. A good small business accountancy firm in the UK, similar to Affinity Associates, will even talk about all the execution improvement measures, which can enable a business to develop. Regardless of the sort of your business, it is extremely useful to hire a small business accountancy firm in the UK, similar to Affinity Associates. With a pool of some of the best bookkeepers and accountants for small business in London, Affinity Associates gives premium-quality accountancy services to a wide range of businesses over the UK. Dealing with your business’ records every day all by yourself is obviously tedious. Regardless of whether you are capable dealing with accountancy and bookkeeping, it just takes an excess amount of time for recording, handling and processing every financial transaction incurred. By hiring small business accountancy services in London, you can free up a great amount of time for yourself, divert your focus on your clients, your core business functions, and overall be more creative towards it. You don’t have to procure a full-time, in-house accountants just to deal with the paperwork of your small business. Rather, outsource your whole accountancy to the professional and skilled accountants for small business. Accountancy services for small businesses are significantly practical then utilizing an in-house representative or a group. There are quite a few great accountancy software that helps to keep your business accountancy needs in order. However, mistakes do happen and they can end up being expensive. By hiring professional accountants and tax consultants for small business, you can be rest assured that your records will be precise and error free. The HMRC dislike incorrect records and in the event, if your firm is audited, then you are all on your own. Yet with accountancy services for small businesses, you will have a solid sponsorship, particularly during audits. Piles of receipts, invoices, and other paperwork can easily turn out to be a stressful situation for your office. Hiring experienced and professional accountants for small business, you can have the power to save all the information online and secured, accessible at any time. If you’re looking for quality and reliable small business accountancy firm in London, UK, then Affinity Associates is the right firm for you to contact. We offer quality accountancy services to a wide range of businesses in London, and all across the UK. From start-ups to small businesses, accountancy services plays a vital role in covering an array of different situations faced by the businesses. This could be quite lenient for the start-ups, however for small businesses it is important to ensure about effective financial management, wherein opting for a professional accountancy services is the key. A well-defined accounting package could help small businesses undertake various accounts operations including, but not limited to tax & compliance, bookkeeping, cash flow, invoices and expenses, etc. The accounting requirements of any businesses, whether it is small, medium or large, constantly keeps on changing with the overall change in the business structure, its flow, as well as the change in the tax laws. This further makes it important for the business owners to always keep a track on their finances and accounts. DIY to manage business accounts is no longer an option for small businesses, neither hiring a full-time accountant, and nor opting for inexperienced accounting firm. A firm offering a good accountancy services will have the experience, expertise and certified professional accountants, possessing immense knowledge and understanding of the constantly shifting accounting needs of small businesses. They understand and acknowledge the fact that keeping a tab on company’s finances can be a key to the failure and success towards any businesses and accounting plays the crucial role in it. As said a good accountancy services offer a complete package, and could also offer a dedicated accountant to you, all within your budget. They not only help you to deal with your accounts, bookkeeping, finances and taxes, yet at the same time could guide you when the cash is running low, preventive measures to save on the taxes, ways to increase your finances and budget. Overall, a single service package with a dedicated accountant could take care of your business’s all accounting needs. Yet, the drawback is that there are several accounting firms, all claiming to offer better services than others. Hence, it is advisable to do some research before finalizing the one that could match your business’s requirement. Moreover, their accountancy service package starts from as low as £91 per month, which includes an array of services such as dedicated accountant, Xero Subscription to manage online accounting, Invoices and Expenses, etc. From the financial perspective, how well do you know your business? You may know a lot about your own business domain than any small business accountancy firm. However, believe it, there is plenty of vital information hiding in your accounting books, which you are not even aware of! Financial reports and statements offer a lot of crucial information that will help you make informed decisions about the way you operate your business. The problem is, how will you identify, extract, and analyse the important information from your accounting data? Unless you are competent with the accounting, you will have to rely on experienced bookkeepers and accountants for small business. These professionals will take care of all the bookkeeping and accounting aspects of your business. While you have the option to employ a full-time, in-house team of bookkeepers and accountants, you can also engage a reliable small business accountancy firm and outsource all your accounting tasks. The latter option, i.e., engaging a small business accountancy firm, will prove cost-effective. Anyway, these bookkeepers and accountants deal with your accounts on a regular basis, and they are the ones who will help you provide all the necessary financial information that will help you better your business. Let us look at three common things your bookkeepers and accountants know about your business, which may surprise you. Accountants are well aware of a cash flow statement, and many business owners as well are familiar with it. If you are not aware of it, then let us tell you that a cash flow statement is one of the most important financial statements, which shows how variations in income and balance sheet accounts affect your business’s access to cash. The statement itself records the flow of the cash entering and leaving your business. The statement allows you to understand how your business operations are running, where the money is coming from, and how the money is being spent. 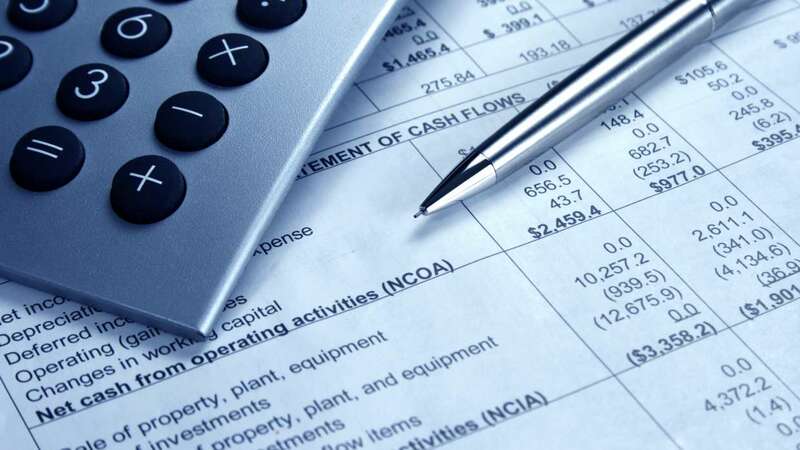 In short, a cash flow statement helps you determine your business’s ability to pay its bills in the short term, particularly to address important expenses, such as payroll. There are a number of accounting ratios that help evaluate the overall financial condition of your business. While liquidity ratios measure your business’s cash availability to pay debts, profitability ratios measure your business’s use of its assets and control of its expenses to generate a decent rate of return. There are other forms of financial ratios as well, namely leveraging ratios, active ratios and market ratios. Having the information readily available about the important financial ratios, such as gross margin ratio, profit margin ratio, return on assets, current ratio, cash ratio, and debt ratio among others, can be very helpful, especially when it comes to measuring the performance and taking vital financial decisions. Your accountants for small business will help you calculate various accounting ratios. Burn rate is probably one of the least-bothered, but vital pieces of financial information for business owners. Burn rate is a figure, which shows how much money your business is spending every month. It is of cardinal importance that you are aware of the burn rate of your business as it tells you when you are going to run out of money. Having such vital information at hand helps you determine when you must start making a profit or acquire cash from somewhere else (business loan or venture capitalist), before ending up in insolvency. There are numerous financial statements, which can help you take the best decisions for your business. Analysing the books, preparing accounting statements, calculating financial ratios, and identifying important information can be ridiculously difficult, if not, impossible for business owners. Engaging an experienced small business accountancy firm, however, is not difficult! A small business accountancy firm in London, UK, like Affinity Associates, has vastly skilled and experienced bookkeepers and accountants who can take care of the financial statements and offer you practical financial advice that will help you take better decisions for your business. Get in touch with the leading small business accountancy firm in London, UK, at Affinity Associates and discover how it can help you stay up-to-date with your financial. To contact us, visit http://www.affinityassociates.com/contact-us/. Wondering what a top small business accountancy provider in the UK, like Affinity Associates, can do for you? The bookkeeping services for small business from an accountancy provider can help you save time and money. It can take away the hassle of bookkeeping, and at the same time, free you so you can concentrate more on running and expanding your business. Bookkeeping services for small business are also more cost-effective than hiring full-time, in-house staff of bookkeepers. By engaging bookkeeping services for small business, you will never have to worry about keeping your books accurate and up-to-date. Payroll management can be ridiculously time-consuming and confusing. With payroll services from a small business accountancy provider, payroll management will not be a hassle anymore. Professional payroll services help increase your payroll efficiency, improve your employees’ satisfaction, and ensure your payroll remains compliant with the existing legislation. Preparing VAT returns, accounting them accurately in the books, and submitting those returns to HMRC can be very challenging. Fortunately, small business tax accountants working with your accountancy services provider can efficiently address all your VAT return requirements. These small business tax accountants not only prepare, account, and file VAT returns, but also deal with HMRC on your behalf if any queries arise. Bookkeepers may not be able to prepare accounting statements and financial reports. They may also not be able to identify and extract vital information from the statements and reports. Accountants for small business working with your accountancy services provider, on the other hand, can easily prepare all the necessary accounting statements and financial reports. They are trained and qualified to handle these tasks. Apart from preparing statements and reports, accountants for small business can also identify and extract vital information from your books. Using this information, accountants for small business can offer you practical advice that helps limit expenditure and improve the bottom line. They can also advise on business expansion and tax planning opportunities. There are a lot of ways to reduce your personal and corporate tax burden, but you probably would not know. Small business tax accountants working with your accountancy services provider can provide you effective personal and corporate taxation services. These small business tax accountants will show you practical ways to help bring down both your personal and corporate tax liabilities. Apart from the above, a small business accountancy provider can help with incorporation, company secretarial services, audits, and inheritance tax planning among other things. It is always beneficial to team up with a reputable provider of small business accountancy in the UK, like Affinity Associates. Engaging small business accountancy provider is cost-effective, and it takes care of every accounting aspect of your business. Want to know more about what we, the leading provider of small business accountancy in London, UK, can do for your business? Just contact us at http://www.affinityassociates.com/contact-us/. If you are a small business owner and are handling the accountancy of your business by yourself, then you are probably incurring some costs to your business! Many small business owners think they are saving money by carrying out accountancy in-house or on their own. The fact, however, is that the price they are really paying is quite higher than engaging small business accountancy services, like the ones offered by Affinity Associates. Continue reading to discover more. Accountancy is not just addition and subtraction! If it were, then anybody with a primary school education would be an accountant. Accountancy is also not about just recording and keeping track of various financial transactions. It is a smart discipline that ensures the financial records of a business are current, accurate, and complete. It is not uncommon for many business owners who handle their own paperwork to keep fiddling with their previous financial records. For instance, finding an unaccounted receipt today or remembering recording a wrong figure, would urge a business owner to change the previous month’s records. While ensuring the accuracy of your books is essential, continually disrupting the records means the financial picture of your business is always changing. The reports of your business become less reliable, and no one will trust your records. Even some bookkeepers tend to follow this practice because they are not trained in the accountancy discipline. This is one of the reasons to employ small business accountancy services from a professional and experienced firm rather than an in-house bookkeeper. Small business accountancy services will bring the discipline and streamline your financial/accountancy operations. Skilled and certified accountants for small business can offer an unmatched level of analysis of the finances of a company that is well beyond what anyone else could. By looking at the books, experienced accountants for small business can identify and understand the patterns in revenues and expenditures, which you would not be able to do on your own. Understanding these patterns can help you create strategic plans to expand and improve your business further. Professional accountants at a reputable small business accountancy firm in London, like Affinity Associates, can also offer sound financial advice to better your business. Learn how to cut expenses and increase revenue by engaging expert accountants. By engaging small business accountancy services, you may also be able to discover all the tax planning opportunities that help reduce your overall tax burden. No one likes paying taxes, but things can become very serious if you do not pay at all or file them wrong. Only some business owners can comprehend various tax laws when they apply to their businesses. Value-added tax, payroll tax, capital gains tax, income tax, corporation tax, and more – all have to be paid to HMRC accurately and on time. However, the moment a business owner starts to understand, the tax legislation changes! Business owners have other important things to do than understanding the various tax legislations and dealing with HMRC. A decent small business accountancy firm, like Affinity Associates, also has experienced small business tax accountants on its team who take the tax hassle out of your business. These small business tax accountants are familiar with the latest tax legislations. They make sure that all your tax deadlines are met, and your financial reports are accurate so the proper amount can be paid. Professional small business tax accountants often have in-depth insight into various tax breaks or tax benefits that business owners may not even know remotely. Engaging small business tax accountants can substantially minimise your overall tax burden. Doing accountancy in-house may apparently seem economical, but it is not. Engaging professional small business accountancy services, on the other hand, will certainly prove cost-effective. There are numerous benefits of engaging professional services. They streamline your financial operations, ensure your books are accurate and up-to-date, analyse and provide essential data to help create strategic plans, offer practical financial advice, and help reduce the tax burden among other things. If you are in need of quality small business accountancy services in London, UK, then just contact us at Affinity Associates. We are the leading small business accountancy firm in the UK, and we provide a range of high-quality accountancy and advisory services to all kinds of businesses. We have some of the best accountants and tax accountants for small business in London who can take care of your entire business accountancy. Discover more about us and our small business accountancy services by getting in touch with us http://www.affinityassociates.com/contact-us/. Are you operating your business as a sole proprietor? Have you ever heard or thought about incorporating your business? There are great benefits of running as a limited company! Starting as a sole proprietor is indeed the simplest way to kick off a business in the UK. To run as a sole proprietor, all you need to do is register with HMRC and inform that you are operating as a self-employed, and report all your financial activities through the self-assessment tax process annually. Establishing the business as an incorporated entity or a limited company, on the other hand, involves a complex company formation process. Further, the administrative and financial responsibilities of functioning as a limited company are also greater than those of a sole trader. Despite the complexity and burden, operating as a limited company can be very beneficial for you. Unlike a sole proprietor business, a limited company has an entirely separate identity from its owners. Ranging from the bank accounts to the ownership of various assets, everything belongs to the company and separate from its shareholders’ interests. Even the debts and liabilities are in the name of the incorporated company, and the company itself is responsible for them. Hence, if the company becomes insolvent, owners or the shareholders are not responsible to for the bankruptcy. In case of a sole proprietor business, the business and the owner are considered as a single entity; hence, the owner is responsible for everything. By running your business as a limited company, you may perhaps have to pay less tax than as a sole proprietor. A limited company needs to pay corporation tax on the income or profit it makes. Whereas, a sole proprietor needs to pay income tax on the income or profit his/her business makes. The current corporation tax rate is 19%. And, the current income tax rate is 20-45%! You can see yourself how much less tax you will need to pay by functioning as a limited company. Further, from a limited company, you as a director or shareholder can draw a salary as well as substantial income in the form of dividends. Both dividends and salary are taxed separately, so you will receive the maximum income while paying less tax. By operating your business as a limited company, you as the owner get a ‘limited liability’ protection. Limited liability protection simply means that if the company runs into any trouble, your personal assets will remain safe. You will not be responsible for any form of losses made by your company because your company is a separate entity, as mentioned above, which is liable for its own losses. In case of a sole proprietor business, the owner does not get any such protection. Therefore, whenever any loss arises, the owner needs to bear it all by him/herself. Acquiring new funding these days can be difficult for all kinds of businesses. Nevertheless, since a limited company is entirely a separate legal entity, it could be a little easier for it to acquire funds than it is for sole proprietors. Most financial institutions trust incorporated entities more than sole proprietors. Further, if provisions allow, then a limited company can also raise capital via issuing of new shares. In some sectors, being a limited company can portray that the company has credibility and is dedicated to effective and sound management. A limited company gives both the suppliers and customers a sense of confidence and most companies, especially big enterprises, will never prefer to deal with sole proprietors. For that reason, incorporating your business can be beneficial to create a professional outlook, which helps bring in new prospects. Incorporating your business is not too expensive and difficult! Just get in touch with the experienced accountants for small business in London at Affinity Associates, and seek their incorporation/company formation services. The skilled accountants for small business in London at Affinity Associates will help you not only with the company formation process, but also with the accountancy for a limited company! Affinity Associates’ accountants for small business are vastly experienced and will take care of every accounting aspect of your incorporated or self-proprietary business. Discover what small business accountants in London at Affinity Associates can do for you by visiting the following link http://www.affinityassociates.com/our-services/. Have any questions regarding incorporation or small business accountancy? Just get in touch with us http://www.affinityassociates.com/contact-us/. Small Business Accountancy Firm in the UK – What it can do for you? With tough competition on the rise, it is essential for UK businesses to do something extraordinary that would give them an edge over their competitors. For instance, engaging a reputable small business accountancy firm in the UK, which can take care of every accounting and financial aspect of the business efficiently can definitely give a much-needed advantage. Accounting is vital, but at the same time, a time-consuming activity for the business. Some aspects of accounting can be challenging too. In order to ensure that everything is in proper order, a business owner needs to employ an in-house team of full-time accountants. Not just any accountants, but a business owner needs to hire certified and skilled accountants, who can address every accounting aspect of the business. Finding such accountants can be time-consuming. Even if you can find such accountants, keeping them on your permanent payroll can prove to be expensive. And finally, such accountants will only handle your books, and may not come in handy when it comes to addressing the financial matters of your business. Fortunately, engaging a small business accountancy firm can be the best resort for a business owner. Such a firm has certified and vastly experienced accountants to whom you can outsource various accounting activities of your business. Engaging a small business accountancy firm is substantially cost-effective compared to hiring a permanent staff of accountants. And, the best thing about collaborating with a top small business accountancy firm in the UK, like Affinity Associates, is the value-added services that you can avail along with the quality accountancy services. Click on each of the services to know more about it in detail. Affinity Associates is the leading accountancy and consultancy firm in London, UK. With some of the best accountants and tax accountants for small business in the UK, Affinity Associates provides quality accounting, business advisory, and tax services. Being in the profession for over 30 years now, Affinity Associates can help you achieve an edge over your competitors. To discover more about Affinity Associates, contact us http://www.affinityassociates.com/contact-us/. Accountancy services are not only for large and medium-size companies. Start-ups and small businesses can benefit too from using such outsourced accountancy services. In fact, by engaging a professional to record and keep track of income, expenditure, and taxes can help any small business reach its potential. Here are top four reasons for any proprietor to consider small business accountancy services. Often, small-scale businesses may not have enough paperwork to justify employing a full-time accountant. In such a case, they may decide to have their non-accountant employees split their time between keeping the books and carrying out their specific duties. This eventually results in inefficiency for both the business and its employees. By engaging small business accountancy services to take care of the paperwork, however, businesses will be able to free their employees from the job they are not suitable to do and allow them to focus on what they are hired for, ultimately improving the overall efficiency. Keeping the accounts receivable, accounts payable, tax figures and other financial information accurate and up-to-date is a complicated task. A reputable small business accountancy firm that provides quality outsourced accounting services has certified professionals who are skilled and experienced. By engaging small business accountancy services, a business is helping to ensure the accuracy of its financial books. Accurate books help show the true position of where a business is standing, and they also help avert any litigation. Tax policy and financial legislation change frequently, and it can be difficult for a business to stay in compliance. In addition to this, if the business is growing quickly, it can be hard to ascertain which laws will apply at different stages of the growth. A small business accountancy firm, however, continuously follows the latest in the legislation and will ensure that your business always stays in compliance. An expert small business accountancy firm will understand the finances of the business from every perspective. The experts working in such a firm will provide valuable tax and financial advice to help a business save more money. They can even advise whether or not to incorporate a business. A top small business accountancy firm in the UK, like Affinity Associates, will even discuss all the performance enhancement measures, which can help a business grow. No matter the type of your business, it is very beneficial to collaborate with a small business accountancy firm in the UK, like Affinity Associates, and engage outsourced accountancy services. With some of the best bookkeepers and accountants for small business in London, Affinity Associates provides premium-quality accountancy services to all kinds of businesses across the UK. Get in touch with one of the professionals at Affinity Associates today, to discover how their small business accountancy services can help you. To contact us call on +44 20 8903 2077 or write at info@affinityassociates.com. Alternatively, you can also fill a simple enquiry form at http://www.affinityassociates.com/contact-us/.